Ruth Langsford’s stylish Marks & Spencer’s shirt, which she wore on This Morning yesterday, has sparked a lively debate between viewers. 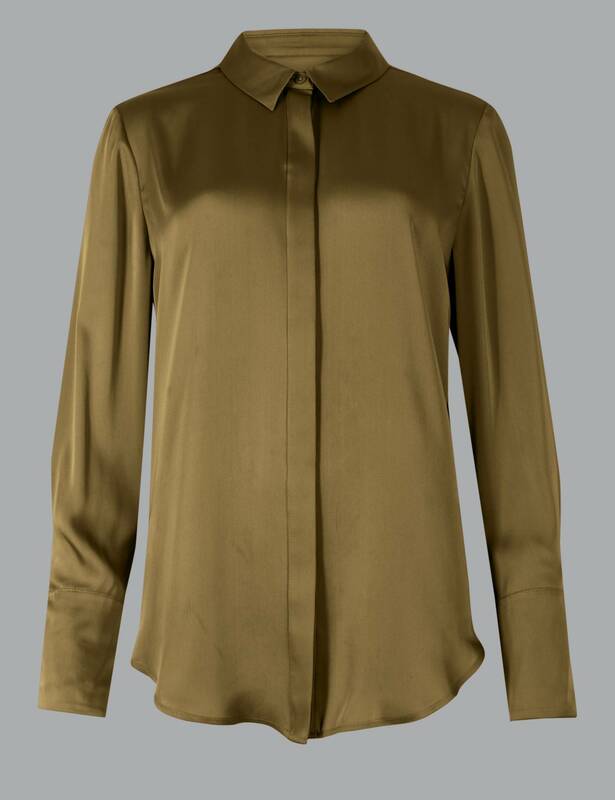 The TV host wore a khaki-coloured blouse from the high street favourite, but the £35 piece caused quite the stir online. And while most fans loved Ruth’s latest look, they couldn’t quite decide what colour the actual M&S shirt was. Ruth, 59, jokingly posted on Instagram: ‘This silk or satin shirt is from Autograph at Marks and Spencer. While another argued, ‘It’s like an antique gold’. What do you think the colour of the M&S shirt is? Although fans may not be able to agree on the colour, they’re sure to be happy with the very affordable price of the silk blouse, which is on sale for just £35 at Marks & Spencer. And if you’re not a fan of the olive/green/gold colour, you can also pick the top up in a romantic, dusky rose colour, which would be perfect for the summer. You can buy the M&S blouse HERE. With today’s look, Ruth teamed the top with a pair of flared trousers from Mango and a pair of leopard print heels from Dune. Despite the debate, we’re saying it’s a winning look!